Attaining a uniformed hair length seems something of the past. 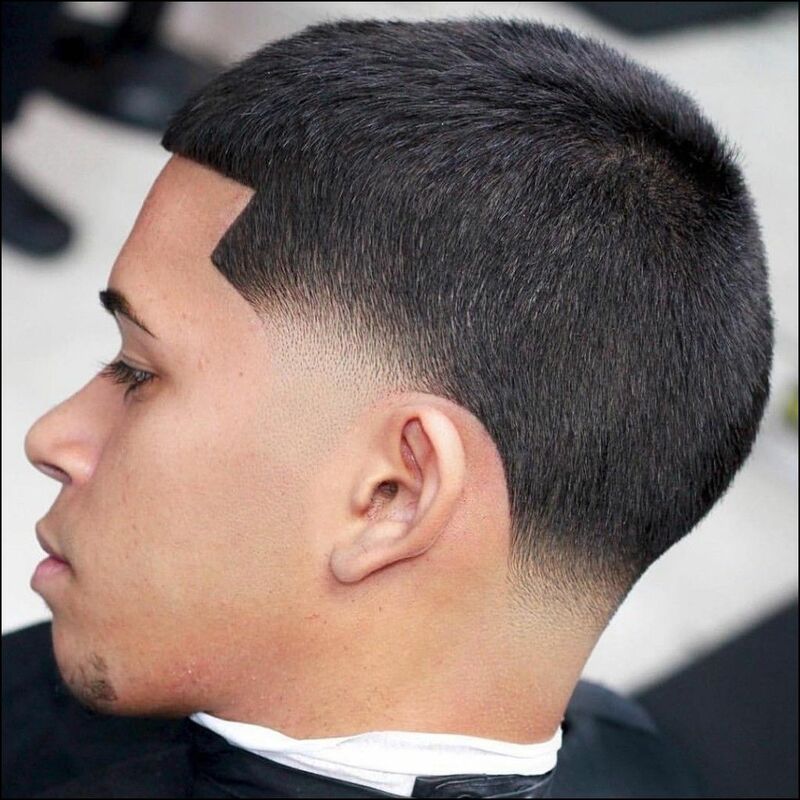 Actually, barbers reveal that they handle numerous taper haircut styles compared to the one layered once. Men are judged by the society based on three things, namely their outfit, their shoes and their hairstyle. Therefore, they should take their hairstyles seriously as they give a reflection of who you are. Below are some top notch taper haircuts worth checking out. A large percentage of rockstars have incorporated this hairstyle. This is the reason it was named after them. This men’s haircut is suitable for anyone who doesn’t like baldness in any part of his head. You should have a medium length middle head hair to adopt this haircut. Your barbers should comb your middle head upwards. This will guide him/her on how fading should commence. The head hair should systematically reduce in length going backwards. The same case applies to the side head hair. Cut should be incorporated in this hairstyle on selected places such as the sides. This top notch men’s haircut deserves to be ranked among the top haircuts this year. You must have medium length hair on the middle part of the head to incorporate this haircut. Your barber should comb your middle head hair upwards. This makes it easy for him/her to trim the hair in this region and give it a uniform look. Afterwards, there should be fade out layer characterized by very low hair on both the back and the sides of the head. Cut is encouraged on the hairline on the forehead. This cut should stretch sideways. You must have a blonde or soft hair to be eligible for this haircut. The slick back tapered haircut entails determining the hair length of your hair you wish to attain. This is what guides the barber when trimming your hair to attain this haircut. After trimming, your middle length hair should be slicked backwards in a systematic position. Afterwards, your barber will trim your side head hair in a fade out position. This fade out will only be noticed if a person pays keen attention at your hair. As the name suggests, is one of the few men’s haircuts that don’t encourage baldness. This haircut puts its attention on the middle head hair. The hair in this region must be medium length. It should be combed backwards to make it easy to attain a perfect fade out pattern. There should be another uniform fade out layer that extends to the rest of the head. In short, this haircut is characterized by two fade out layers. Cut can be incorporated on the hairline on the forehead and should extend throughout the hairline on the head. This is a very common official hairstyle among men. The one layered taper haircut focuses on giving you a neat, short and presentable haircut. Most barbers can easily attain this haircut. Above all, it is considered one of the easy to maintain men’s haircuts. The hair length should be equal throughout the head. Additionally, this official haircut doesn’t encourage the growth of beard. The looks in this haircut is enhanced by a cut. Lastly, this haircut lays down the foundation for other complicated haircuts. You must have an Afro hair to attain this top notch look. Above all, you must have a blonde hair. It is characterized by the fringe hair being combed backwards. This occurs after significant amount of middle head hair has been trimmed low. Afterwards, the fading process should commence sideways. Fading should commence systematically to form at least three different hair lengths. This is very complicated men’s haircut. Therefore, it should be handled by an experienced barber. Moving on, this haircut doesn’t have any cut or encourage the growth of beard. This classical haircut can be traced since time in memorial. It doesn’t encourage the growth of sideburns or beard. Additionally, it doesn’t encourage any form of baldness on the head. Your barber should start off by combing your fringe hair and your middle head hair backwards. This helps the barber decide how the fading commences throughout the head. As the name suggests, your barbers should trim off all your sideburns or beard. Lastly, it doesn’t advocate for any form of cut. As the name suggests, this haircut is characterized by fringe hair. Therefore, you should have medium length fringe hair to think about this hairstyle. The length of the fringe hair and that of the middle head should be even. Thereafter, systematic fade-out should commence from backwards to sideways. This should occur until there is no hair left. Afterwards, beard should be efficiently trimmed and given cut to make it look neat and organized. This haircut also encourages the growth of moustache. Lastly, we have the classic taper haircut. The middle head hair should be combed towards the right side of the head. Afterwards, there should be a deep cut on the left side of the head. This cut signifies the beginning of the fade out process. This fading process uniformly progresses until another fade out layer occurs. The head hair conjoins with the side burn and stretches to the beard. All pompadour hairstyles are characterized by with a lot of hair on the middle head, which slowly fades out heading both sideways and backwards. Well, this isn’t different. It is characterized by fringe hair being combed on top of the middle head hair. Afterwards, there should be massive fade out on the side head. The side head hair and that on the back should be trimmed very low to be point anyone this haircut. Pompadour side haircut is a casual haircut. It suits men with long middle head hair. Men with short haircuts look neat and attractive. Well, this is one of the numerous short haircuts men can incorporate. It is characterized by hair being in the same length most part of the head. There should a systematic fade out towards the end of the side head. That’s not all; your barber should incorporate cut throughout the hairline. Lastly, sideburn should be completely trimmed. This haircut was once named the coolest hairstyle. To kick off, it is known for having a long middle head hair. The middle head hair and the fringe hair should conjoin together on the middle head. They should be combed upwards to make it easy for a barber to cut off long hair if needed. Afterwards, there is a deep cut immediately after the middle head on the right side of the head. This deep cut symbolizes the beginning of the first layer of the fading process. The hair in this region is very short when compared to that on the middle head. Beard should also be trimmed to give you a marvelous look. Ever dreamt of giving your long hair a Mohawk look? Look no further, the Mohawk taper haircut is what you need. Your barber should leave your middle head hair intact. He/she can only trim it to a certain level. The fringe hair should also be given a blonde look, divided into sections before being combed backwards to conjoin with the middle head hair. Thereafter, all the hair on the side head and the hair on the back of the hair should be cut short. No cut should be incorporated in this haircut. You must have long hair to be eligible for this hairstyle. Your barber should comb all your head hair backwards and twist it to form a bun on the back of the head. This gives your barber a perfect opportunity to draw an inner cut inside the hairline. This inner cut goes around your head and settles on the on the hairline on the forehead. That’s not all; the hairline around the head is given a cut to enhance this hairstyle. The same case applies to the beard and the moustache. Your barber needs more of creativity and less of trimming to achieve the side part haircut look. You need middle head hair to incorporate this hairstyle. The middle head hair should be curled and combed towards the right. Afterwards, there should be a partition on the left side, immediately after the middle head hair. The side head hair that follows should be divided into layers and combed sideways. The side head hair must appear short when compared to that on the middle head. Consider the low taper fade haircut if you would like to incorporate both official and casual haircut at the same time. As the name suggests, your barber should keep your hair length average on the mid head. Fading should occur in a systematic manner, both sideways and on the back of the head. Additionally, there is a cut on the hairline on the forehead. This cut extends to some point before disappearing. It is definitely worth checking out. As the name suggest, this hairstyle gives your medium sized hair a curly look on the fringe hair, middle head hair, back hair and some section of the side head hair. The curly taper should have three hair length layers. The first fading occurs on the side. The hair should be cut very low when compared to the curly medium sized hair. There should be another layer of fade out that extends up to the end of the hairline. Cut is encouraged on the side head hairline to enhance its look. Consider the Up hairdo taper hair if you desire to enhance your looks and make people notice your hairstyle. This hairstyle is suitable for men with soft hair. Both the fringe hair and the middle head hair should be combed upwards and conjoined in sections to give a spike-like look. The rest of the head hair should be combed towards it original growing direction. In addition to these, your barber can incorporate cut on the hairline on the side head. This cut can extend towards the back of the head. There are some women who like men’s hairstyle. Well, the unisex taper haircut can be adopted by both men and women. Additionally, it can be used for both official and casual events. It is characterized by the hair on most part of the head being equal in terms of length. Thereafter, the hair systematically fades away until there is no hair left. Cut can be incorporated on the unisex taper haircut to make the hairstyle more attractive. In conclusion, no sideburn or beard is encouraged in this hairstyle for men. This is one of the most complicated men’s hairstyles. Therefore, you should choose an experienced barber for this haircut. It is characterized by the middle head hair being combed towards the left side of the head. Thereafter, there should be a cut on the right side of the head that symbolizes the beginning of a fade out layer. This hair level in this part of the head is low when compared to that on the middle head. The fading process should commence until it meets up with the sideburn. The two layer taper haircut encourages the growth of hair. As the name suggests, your barbers should slick back your middle head hair and the fringe hair towards the back. This hair should be divided into layers or sections when being combed backwards. The side head should systematically fade going downwards. The fading process should continue until it reaches the sideburn. Thereafter, the sideburn should be given a cut as it conjoins with the beard. Your barber should start off by giving your medium length middle head hair a blonde look. Thereafter, you should comb it backwards. The rest of the head hair should be trimmed low and should be black in color. A blend of both a blonde and black color gives your hair a perfect outlook. Above all the blonde color makes your hair to be easily noticeable by other people. It is definitely worth checking out. This is one of the classical taper haircuts. The classic taper with side part haircut encourages the growth of medium sized middle head hair and beards. The fringe hair should be combed backwards to conjoin with the middle head hair. Thereafter, fading commences on both sides of the head. Hair on the side head on both sides of the head should be very low when compared to that on the middle head. The hair conjoins with the sideburn and stretches until it reaches beard. Do you hate baldness on your head? If yes, you should consider this hairstyle. It is characterized by middle length hair that stretches across the head. Your barber should slick back your middle head and fringe hair in sections. This enables you to attain a stylish look. Thereafter, your hair should undergo a uniform fading process both sideways and backwards. This haircut is also characterized by sideburn that conjoin with the beard at some point to give you a marvelous look. Consider the brush up hairstyle if you have a soft hair. Start off by combing your fringe hair upwards and a bit towards the back. This process should also be repeated on the middle head hair. The side head hair should be reduced in size when compared to that on the middle head. Brush up hairstyle can be used in both official and casual events. Above all, it is easy to achieve. As the name suggests, this haircut is characterized by systematic fading that stretches from the middle head hair downwards. The fringe hair should be combed towards the middle head, whereas the middle head hair should be combed towards the left side of the head. Fading should commence immediately after the middle head hair on all sides of the head. Additionally, the systematic fade taper haircut doesn’t encourage baldness in any part of the head. You must have at least medium sized hair to be eligible for this haircut. It is characterized by a lot of hair on the middle head. Consequently, this hairstyle encourages the growth of sideburn and beard. Your beard and sideburn should remain low at all times. Your barber should comb your hair sideways towards the left. Moving on, the hair on the side head should be low in terms of length. The low fade haircut requires a lot of effort and patience to attain this hairstyle. It is categorized by medium length hair spreading across the head. Additionally, this hairstyle encourages the growth of beard. Your barber should give your head a fadeout towards the end of the side head hair. This should occur on both sides of the head. That’s not all; cut can be added on this top notch hairstyle to enhance its looks. It is characterized by the hair on the middle head being systematically trimmed to be equal in terms of length. Thereafter, the hair fades out systematically towards the side head until there is baldness. Cut should be added by your hairline to enhance your look. This hairstyle was designed for men who are likely to go bald at some point in their life. Additionally, the baldness taper hairstyle doesn’t encourage keeping of both the beard and the sideburn. As the name suggests, this top notch haircut incorporates curls and fade out. This hairstyle doesn’t entail the adaptation of any cut. Your barber should give your medium length hair a curly-wavy look. This look should stretch up to the fringe hair. Afterwards, your barber should completely trim the side head hair until it becomes low. This hairstyle is plain causal. However, it paves way for the growth and incorporation of other complex hairstyles in the future. First, you must incorporate the blonde hair look before proceeding any further. Thereafter, the long mid head hair should be trimmed before the fringe hair being combed on top of it. Apart from the fringe hair, there should be two fade out layers in this haircut. Moving on, the blonde taper hairstyle doesn’t advocate for any cut throughout the head. However, the blonde taper haircut encourages the growth of beard. It is definitely worth checking out. This is one of the latest haircuts for men at the moment. It is characterized by the middle head hair being combed upwards. Some section of the middle head hair should be conjoined together to form a sharp looking layer. The urban taper haircut doesn’t encourage the growth of fringe hair. There is a systematic fading on both sides of the head until it conjoins with the sideburn and beard. Cut can also be incorporated.